In The Hobbit, wealth is a great motivator for the dwarves who venture to steal their hoard back from a dragon, Smaug. Yet, according to Marxist analyst Freedman, “Tolkien’s world is one in which the great majority of the actual material interests… are silently erased, to be replaced by…the abstract and essentially vacuous metaphysical battle between good and evil” (2002). Thus, while wealth is found in the book, it is used not to build an economy, but as an indicator of the battle between good and evil. This can be shown by examining the different views of wealth presented by dwarves, Smaug, and hobbits, as well as the author’s treatment of these characters based on their views. Throughout the story, most of the main characters are dwarves, known for their materialistic wealth and their greed. They find treasure so irresistible that their passion is contagious even to Bilbo, for “As they sang the hobbit felt the love of beautiful things made by hands” (Tolkien 1982). It is this greed for which they are punished. When their “halls became full of armour and jewels and carvings and cups… Undoubtedly that was what brought the dragon” (Tolkien 1982). The dragon Smaug would not have been attracted to the dwarven mountain city had they not already gathered such a hoard themselves, and this is their punishment for the pride and greed they feel for material things. Furthermore, Smaug, who is even greedier and more envious than the dwarves steals his wealth rather than making it and is punished with his own death. Thus, the dwarves are punished by the attraction of Smaug to their city and Smaug, both greedy and a thief, is punished with death, showing that the author considers these attitudes reprehensible. On the other hand, hobbits are humble, easily contented, and “never ha[ve] any adventures or [do] anything unexpected” (Tokien 1982). 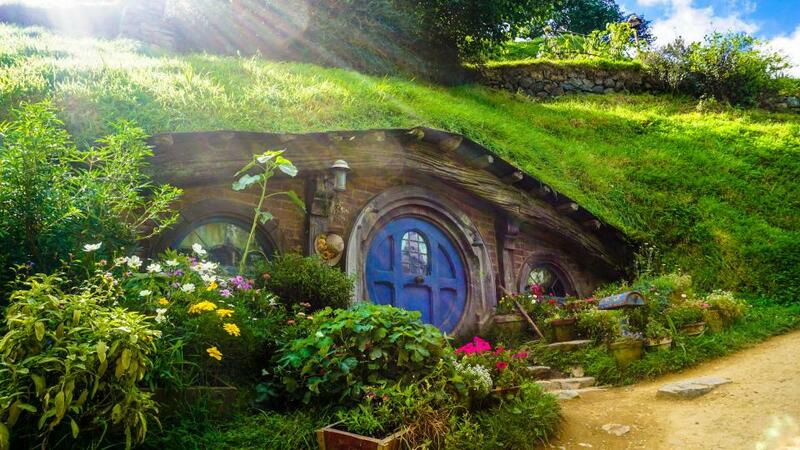 While the dwarves face such destruction and conflict because of their interest in gold, hobbits such as Bilbo have an incredibly safe and peaceful existence in The Shire. While the dwarves must rebuild their destroyed home and answer to the town of men which Smaug also terrorized, Bilbo is able to return contentedly home, where “His gold and silver [is] largely spent in presents” (Tokien 1982). That Bilbo finds great peace, lives to an old age after being far more giving with his own wealth reinforces the idea that humility is a value while material greed is a vice. After considering the author’s favor toward Bilbo, the dwarves, and Smaug in that order, it becomes clear that the author considers humility and selflessness to be markers of morality while greed and obsession with material goods are undesirable traits. This is not surprising as Tolkien was a faithful Christian who “consider[ed] the writing of fantasy to be a Christian activity” (Harrt 1981). It thus becomes understandable that Tolkien would use wealth to discuss morality and would ignore the reality of economy in order to “overcome the material frustration and privation that history has always entailed” (Freedman 2002) and to instead focus on his Christian beliefs. In doing so, and in choosing to punish greed and reward humility, Tolkien’s work acquires the “utopian longings” so common to works of fantasy. Hartt, W. F. (1981). Godly Influences; The Theology of J. R. R. Tolkien and C. S. Lewis. Studies In The Literary Imagination, 14(2), 21-29. Tolkien, J.R.R. (1982). The Hobbit. New York, New York: Ballantine Books. If essay writing is difficult for you, you can alsways ask us, “type essay for me,” and we will gladly help you. WriteMyEssayOnline.com can complete any assignment for you while you can spend your time as you want.